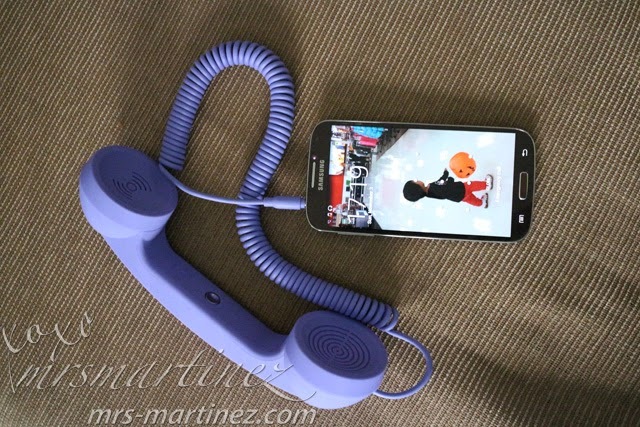 I received this colorful handset called Native Union Pop Phone designed by David Turpin from Digits Trading. The handset is designed just like the old phones we used to have in the 80s hence the 'retro' tag. It's pretty cool to look at especially the color I got which is Lavender. Once connected, I saw an earphone icon on top of the phone. I opened my Viber app and tried calling a friend online. My call went through without a hitch. We were able to talk for a good 15 minutes. I can clearly hear her voice without any disruption. I tried testing the Pick Up/ Hang Up button but it was not working on my Samsung unit. I answered and ended the call through my device instead. Other than that everything seems to work out fine. Before I forget, before throwing the box, please scratch the anti-fake label to reveal a unique hidden serial number for guarantee of authenticity. You must register your product at owner.nativeunion.com within 15 days of purchase date on your receipt. 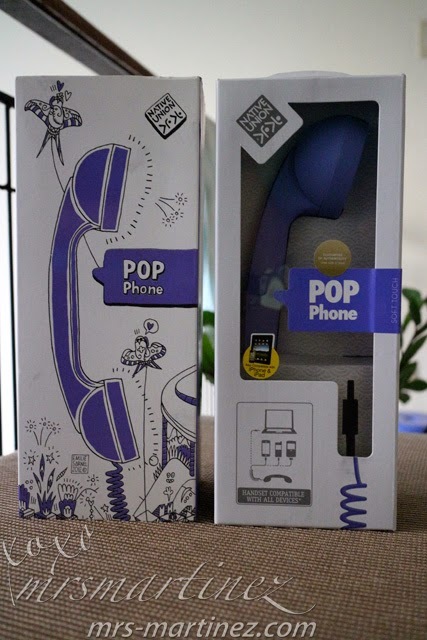 Native Union Pop Phone is available in all Beyond The Box, Digital Hub and Digital Walker in the following colors- Aquamarine, Lavender, Mint and Jet Black for only PhP 1200. You can view Native Union Pop Phone Collection here. For mobile phones, iPhone, iPad, computers compatibilities, adaptors are available here. For product specification, read here. Like Native Union on facebook and Follow on twitter.